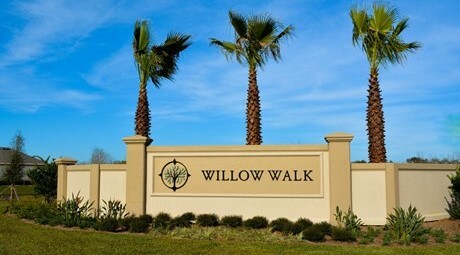 Willow Walk is our newest community within Manatee County, located in Palmetto Florida. 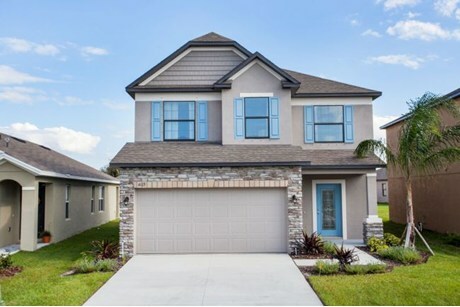 This Community of single family homes, features many amenities including a large pool, pavilion, and playgrounds for your family’s year round enjoyment. Many of the home-sites are situated on conservation and water lots. Conveniently located minutes from I-75, Willow Walk is about 30 minutes from Tampa, St. Pete, Sarasota and the beautiful Gulf beaches. 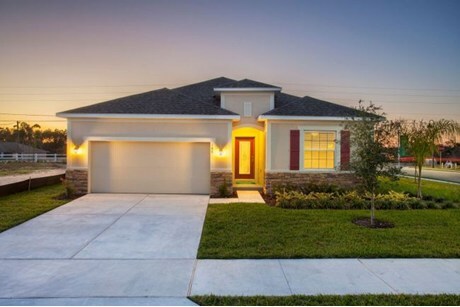 Within 10 minutes of Willow Walk lies the town of Bradenton, where you can catch a Major League Baseball spring training game, take a stroll on the Robinson Nature Preserve or visit the South Florida Museum and Bishop Planetarium. If you enjoy beautiful beaches, sparkling waterways and championship golf courses, Willow Walk may be the perfect fit for you. All of these outdoor activities are conveniently located within Manatee County. There are also many parks in and around the area to enjoy canoeing, kayaking, fishing or exploring nature. Did you know that Manatee County offers the state-of-the-art G.T. Bray Recreation Center? It is is located in your own backyard only 15 minutes away from Willow Walk and includes access to an Olympic size pool, kiddie pool and splash pad, fitness center, exercise classes, teen center, tennis hard courts, racquetball, and the use of the gym to play basketball, volleyball, badminton, pickle ball, and corn hole. Manatee County also offers several gorgeous beaches with access to the Gulf of Mexico. One of which is on Anna Maria Island, that features beautiful turquoise waters and white sandy beaches. High rise condos and fast food restaurants are pleasantly absent from what many call “My island in the sun”. Also, just 15 minutes South of Willow Walk, off of I-75, you will find the shopping district known as University Towne Center. All the big box stores are at your disposal here such as: Best Buy, Home Depot, Kohlâs, Target and Publix. You can also satisfy your need for style with fashion-forward stores like Saks Fifth Avenue, Nordstrom Rack, Dillards and Macyâs. Dining options of all types can also be found in this area, from casual family dining to an elegant night out for two. On a budget? Less than 10 minutes away is the Ellenton Premium Outlet Mall with such designer brands as Cole Haan, Nike, Kate Spade, Brooks Brother, Michael Kors, Lacoste and more. 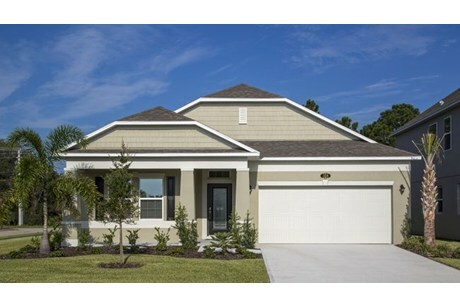 Are you looking for an available lot in Palmetto, FL for new home construction? 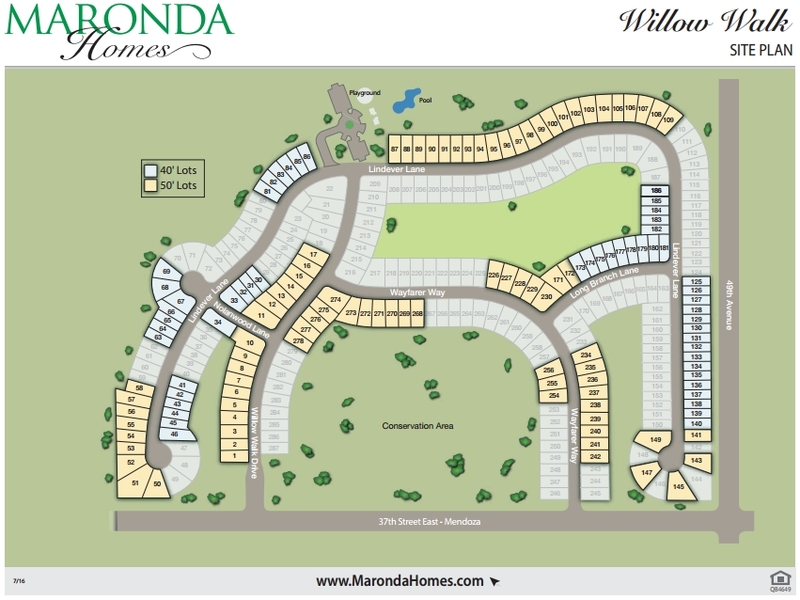 Take the next step in building your dreams in the Willow Walk residential new home community by Maronda Homes. 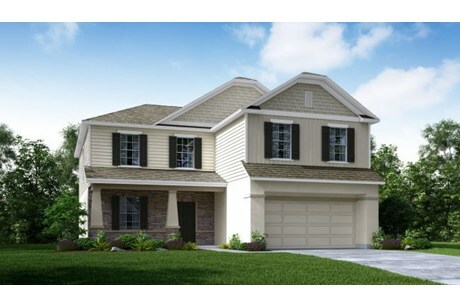 Home sites are packaged for new Single Family Homes designs starting from the $199’s. Get started today and build the home of your dreams in the locations you love. Learn here Medway Realty. This plan is ideal for someone looking for a house that’s small but smart. As in larger plans, this home boasts a private master suite with lots of closet space and a private bath. The living area embraces the outdoor living space with plenty of natural light. The eat-in kitchen allows for efficient food preparation and offers an optional island for additional storage and work space. There is also a separate dining nook that leads to an optional lanai or patio area. Note the smartly placed interior laundry closet. 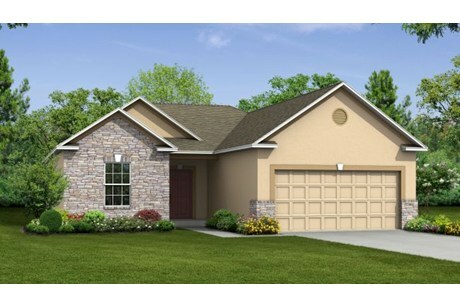 This plan comes with two additional bedrooms, a second bath and a two car garage. 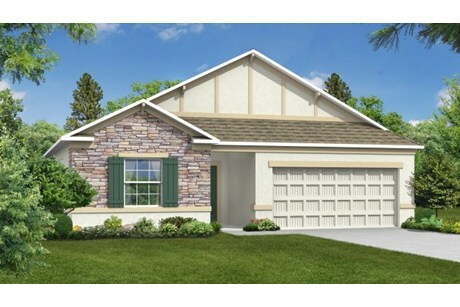 The Valencia is a practical home that packs a big punch with interior living space. This spacious home features a stunning kitchen with built-in breakfast nook and plenty of counter and cabinet space to house all of your cooking essentials. A large great room is perfect for hosting friends or even just for family lounging. The first floor foyer leads to a powder room. 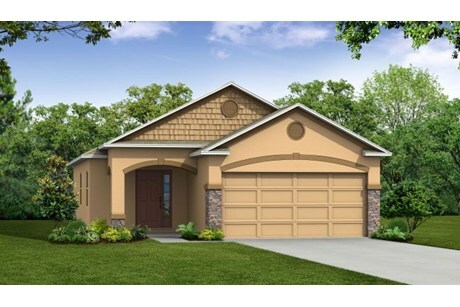 A covered entry porch and spacious garage are also great additions to the first floor level. Upstairs you will find 4 bedrooms, including the Owner’s room, which features a master bath with double-bowl vanity and generous walk-in closet. An additional full bathroom is present off of the fourth bedroom, perfect for making busy mornings a little easier. Say hello to the Amelia! This home welcomes you with a LARGE open-concept great room on the first floor. The kitchen with large center island, dining area and family room are perfect for get-together. Looking for some private office space? The Amelia has an area that can be closed in to make a private home office or game room. 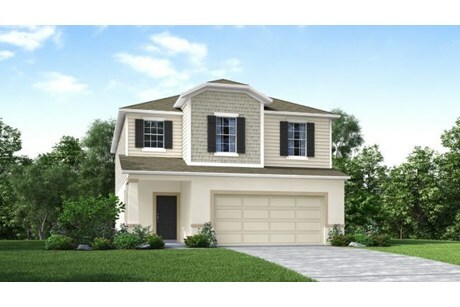 The first floor also offers an attached 2 or 3 car garage, formal foyer and powder room. Outdoor living is made easy with the optional sliding glass doors to the optional lanai. Upstairs offers a spacious master suite with walk-in closet and bathroom. The luxurious master bath features 2 separated vanities, a soaking tub and separate shower. 3 additional bedrooms, a center hall bathroom and second floor laundry are also found upstairs. 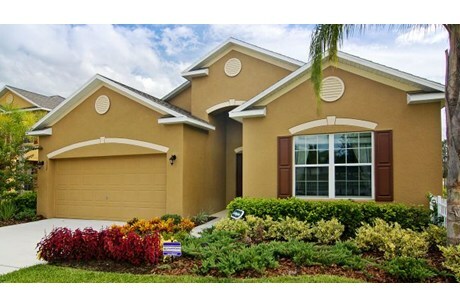 Amelia offers so much space for you entire family in this smartly laid out 2,200 SF home. Options, Options and more Options. 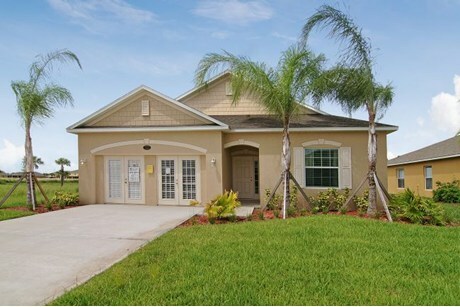 The Sanibel is the perfect home for a fast pace lifestyle where you need a little relaxation time as well. 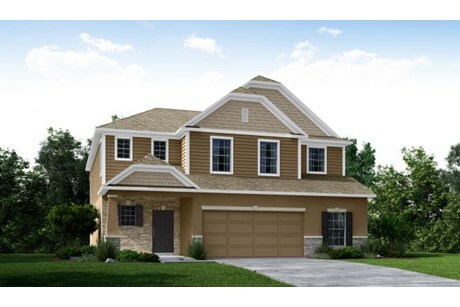 The home features three spacious bedrooms and the master suite offers a spa in your home. The open concept lets you discover the space for any purpose you have or function you’re holding. The home will feature some great flex space that you can be creative with or use for a growing family. 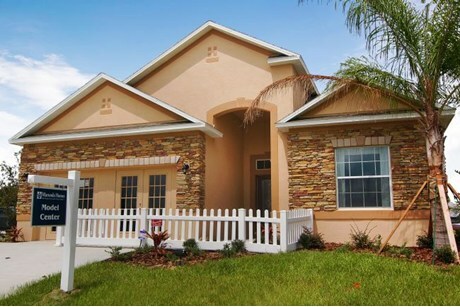 The Sanibel is a true flexible functional house for all. This spacious family home features an airy kitchen with built-in breakfast nook perfect for dining in. A large great room and plenty of first floor flex space are great additions to house all of your belongings and personalize your new space. A foyer which leads to a powder room and porch are also present in the Abington. An optional fifth bedroom complete with a full bath, walk-in closet, and linen closet is available. A generous 2-car garage finishes off the first floor. Upstairs you will find 3 beautiful bedrooms, including the Owner’s room, which features a master bath and large walk-in closet. The master bath houses a double-bowl vanity and built-in linen closet. A second bath adjacent to the second bath also features a double-bowl vanity and large soaking tub. Flex space on the second floor is also available, in addition to a coveted second floor laundry room, perfect for keeping your weekly chores organized. 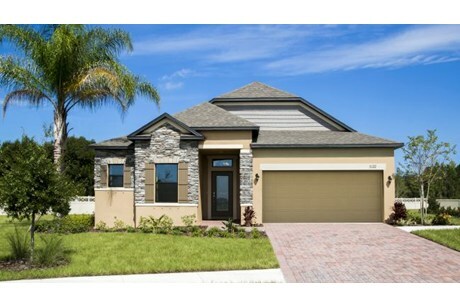 The subtle elegance’s of the optional shuttered front and stone front provide a touch of class to this Floridian-style home. Walking into the home you understand that an open floor plan can also offer privacy. The three secondary bedrooms all feature spacious accommodations with endless opportunities. The master suite which is located at the rear of the home boasts private bath, dual vanity, and a separate tub and shower and perfectly placed linen closet. The flow of the homes is perfectly balanced, the great room and kitchen is an exceptional use of space to entertain while the rest of the home provides privacy. 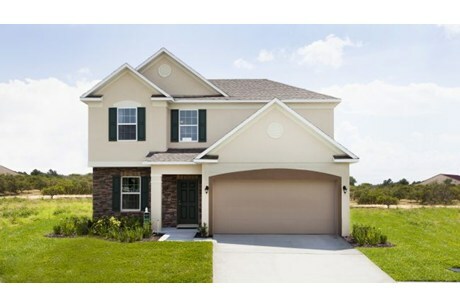 The home is a well designed for any size family and is perfect for yours. 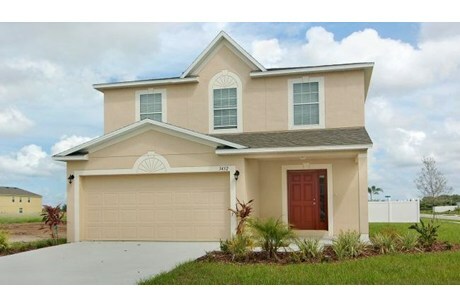 This alluring home is the perfect single family home for all of your needs. The first floor features a generous kitchen with included breakfast nook, pantry, and optional kitchen island. A first floor powder room is off of the kitchen. Adjacent to the kitchen is an optional outdoor patio with one of three design choices. A large great room perfect for family lounging or hosting friends is truly an asset to this home. A 2-car garage with attached porch are also incorporated on the first floor. Even with all of the amenities listed above, there is still plenty of flex space to personalize and make this home your own. Upstairs you will find 3 large bedrooms, a coveted second floor laundry room with adjoining linen closet, and spacious loft area. The Owner’s bedroom features a large walk-in closet and full bath with dual vanity and optional soaking tub. A full bath in between the Owner’s bath and third bedroom is also included. 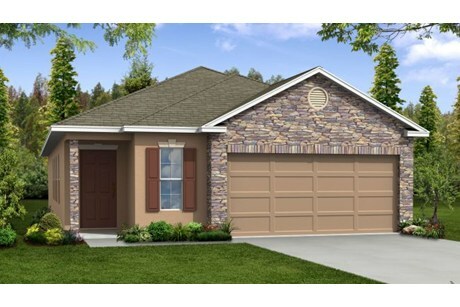 You can also add a fourth bedroom or expand to a 3-car garage. This inviting home provides plenty of space with efficiency. The first floor features a generous great room with optional porch or patio extended off of it. A family favorite game room is included, which could also serve as a spacious dining room. The airy kitchen encompasses plenty of cabinet and counter space for all of your needs, and incorporates a functional breakfast nook for dining in. A gourmet kitchen option is also available. Also included on the first floor is a foyer right off of a 3-car garage, plus a functional powder room perfect for guests’ use. There is also flex space left over to let your imagination run wild. An optional sixth bedroom suite or In-Law suite can be added on the first floor. Upstairs you will find 4 spacious bedrooms with optional fifth bedroom suite in place of loft area. The Owner’s bedroom features a generous walk-in closet and private bath with optional soaking tub, dual vanity and spacious shower. The Columbus also includes a highly coveted second floor laundry room which will make your household chores a breeze. In between the third and fourth bedrooms is a full jack and jill bathroom with optional double-bowl vanity to accommodate your needs.